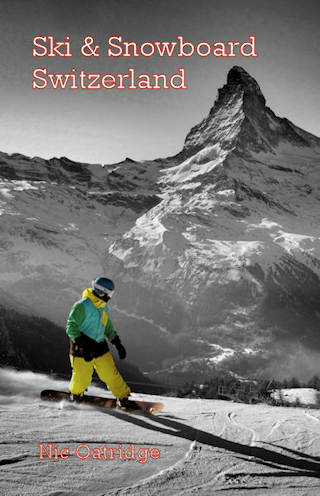 rig doesn't have any runs into the town itself, but its location in the heart of the Upper Valais makes it a perfect base for exploring a number of winter sports resorts. And you don't need to go far to hit the slopes. Belalp is the closest significant winter sports area, accessible by cable car from the pretty village of Blatten b. Naters and there are also pistes nearby at Rosswald and Rothwald, all only a few minutes away by bus. Brig itself is a long established town, built on its strategic position at the start of the Simplon Pass and more recently established as an important rail junction. It has a lovely old town and the stunning baroque Stockalper Palace is definitely worth a visit. Unfortunately the outside Brigerbad spa is closed during the winter months, although many other spas along the Rhône valley are open. At Belalp, the off-piste off the main Sparrhorn area and particularly underneath the Hohstock (via a tunnel off the Hohstock draglift) are superb. Sebastiansplatz in the centre of Brig is a lively square with al fresco bars, restaurants and cafes. The best destination to access the downhill slopes by public transport in this ski area is Brig. 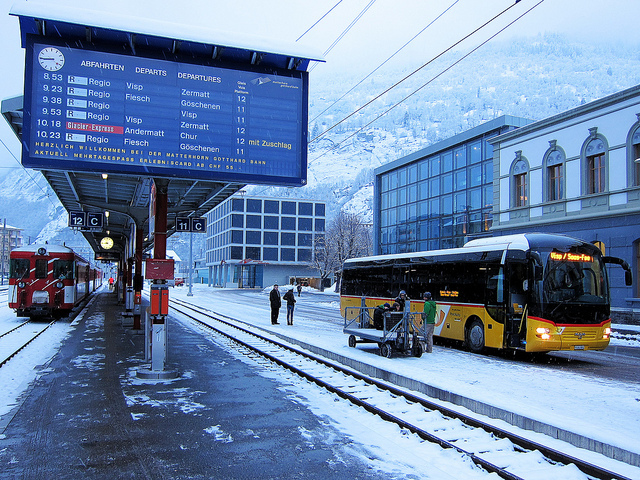 Buses from the station go to various resorts, some covered by Snow'n'Rail. From Zurich the least travel time is 2 hrs 8 mins with as few as zero changes. From Basel the least travel time is 2 hrs 9 mins with as few as 1 changes going via Bern. From Berne the least travel time is 1 hr 04 mins with as few as zero changes. The road distance from Zurich is around 187 km and the journey time is roughly 2 hrs 40 mins. The road distance from Basel is around 210 km and the journey time is roughly 2 hrs 50 mins. Brig has three ski areas close to the town, all accessible by bus, Rothwald, Rosswald and Belalp. Other destinations in the region accessible by train and cable car include the resorts of the Aletsch Arena, Bettmeralp, Fiescheralp and Riederalp. There isalso a direct bus link to Saas-Fee. The Goms area, Andermatt and Zermatt are also nearby, also with direct train connections. $$ Hotel Ambassador, Brig (3*) Convenient for station and town centre. Renovated December 2012.